The seventh World Congress will be held this year in the Basque Country on October 2-5, 2019. N.A.B.O. delegates at a N.A.B.O. meeting. 4. What qualifies the applicant for this; i.e., service to NABO? The application deadline is May 6th, 2019. Pictured here were those in attendance from the United States including NABO's official delegation. After having emerged from Basque Congress Haze, I (John Ysursa) can now hopefully provide an overview of what transpired during the IV World Congress of Basque Collectives (July 2007 in Bilbao). Not wanting to spread alarm, Basque Congress Haze (BCH) is brought on by intense, concentrated days of all-Basque topics; the malady is compounded by little sleep and some of the world's best food that quickly disorients the typical food lover. 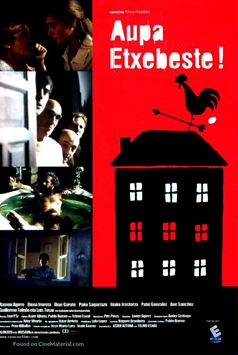 Symptoms include excessive concern with Basque-related minutiae and the belief that all Basque problems might well be resolved in just one week. Recovery comes a few weeks later when the patient regains perspective: Rome was not built in a day and keeping "Basqueness" alive is a long-term endeavor. While the risk of BCH is high, this does not mean that something positive does not derive from the Congress. Whereas there will be work to do down the line, the week at the Congress did provide some useful fuel for the Basque fire. There were many highlights and not all can be noted here, but here are at least some. NABO's presentation at the IV World Basque Congress. The task was to briefly inform the delegates of NABO current situation and what was proposed over the next four years. This IV Congress (held once every four years since 1995) gathers representatives from throughout the Basque Diaspora (Euspora). 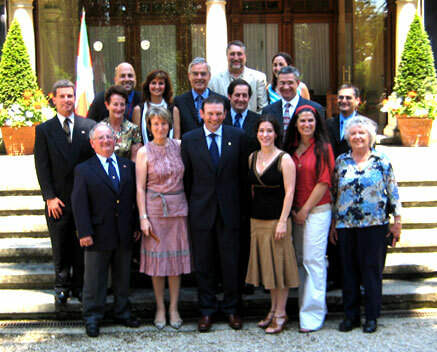 There are multiple objectives that include providing a forum for the sharing of ideas that might benefit Basque communities, helping to develop a joint four-year plan of action on behalf of the Basque Government vis-à-vis the global Basque Diaspora (see below), and serving as a catalyst for new friendships that might well spawn future joint endeavors. For this year's Congress, NABO entered into a collaboration with FEVA (the NABO federation parallel in Argentina) to promote five joint projects via a synergy of shared ideas and enthusiasm. For starters, we had a great contingent there representing us and I think we made a good impression; e.g., we hit it off with the delegation from Cuba. We spoke about how there might be troubles between our two countries but that at the Congress we were all friends on a shared mission. 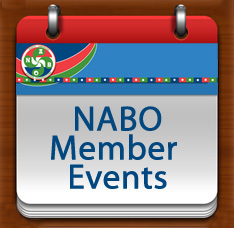 Below is the list of attendees from NABO. Furthermore our hosts, the Department of Relations with the Basque Communities of the Basque Government treated us in splendid fashion. New this time around was the first full day of the Congress which featured an opportunity for delegates to continue to meet each other informally as the group was taken to the seaside town of Bermeo. There we were given a tour of the Nestor Basterretxe exhibition by the artist himself and informative tour of a replica XVII century Basque whaling ship the "Aita Guria." This was followed by an impressive lunch at a renovated baserria (Basque farmhouse) in Bakio as we made our way back to Bilbao. That's it for talking about the food; I won't even try to explain the food—it is something you have to try yourself to understand. The Congress started off in grand fashion with an inaugural ceremony at the Guggenheim Bilbao Museum. Basque Government representatives, headed by the Lehendakaria (President) Juan Jose Ibarretxe cordially addressed their guests from eighteen different countries. 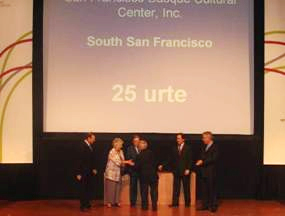 The event included a commemorative ceremony to acknowledge the anniversaries of the Gooding Basque Association and the San Francisco Basque Cultural Center that marked 25 years of existence. The keynote address was given Dr. Gloria Totoricaguena that served as a catalyst for several discussions during the week as she aimed to challenge delegates to re-think their approach to Basqueness. The program concluded with a performance by Amaia Zubiria (a.k.a. the "Basque Diva") in a spirited rendition of old and new Basque songs. And then the evening concluded with pintxoak for all as old and new merged: the tunes of the traditional txalapartak filled the air in the center of the modern Musuem. Now it was time for the delegates to being their work, and sessions commenced Tuesday morning, at the Euskalduna Convention & Performing Arts Center with a series of presentations that included an appraisal of the previous four year plan, an overview of the relations among the Basque Government and the Euspora (Basque Diaspora). The new volumes of the Urazandi project were also debuted; they included texts about the Basque communities Valparaiso (Chile), Montevideo (Uruguay), a digitalized collection of 134 Basque magazines, and the Urazandi NABO book by Argitxu Camus. This later text will be made available to our Basque club/organizations once we get them over here via sea transport. NABO's turn came Wednesday morning when we presented our diagnostic of current conditions in our Basque-American community and our collective future plans. We were slated for only a half-hour slot, so our presentation provided a brief overview of NABO progress to date, then focused on some initiatives for further engaging more youth involvement that is crucial to most all our organizations. Later that afternoon there was a controversial moment that arose when the delegate's hall was largely empty for one of the scheduled presentations: "Equal opportunities for Men and Women." One of the major themes being stressed at the Congress was that there should be greater participation of women and youth. Tellingly, four years ago NABO was the first delegation (if I'm not mistaken) that sent an all women delegation; this year our elected representatives were young when compared to the other delegations. This is not to say that we don't have any problems here in our community with issues of gender and youth, but we were all there for each session including the presentation on equal rights for women. Like the previous Congress four years ago, this one was preceded by the annual Basque Government program of Gaztemundu. 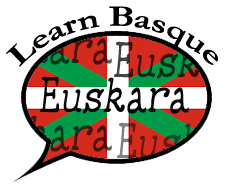 This assembles Basque youth from throughout the Diaspora for two weeks of education and recreation with an eye on hopefully creating future Basque-community leaders. Thursday's session opened with a presentation by Miren Azkarate, Minister of Culture and Spokesperson for the Basque Government. She spoke about the recent creation of the Etxepare Institute that is poised to get up and running. Ideally, this entity within the Basque Government will seek to coordinate, centralize and expedite communications between the Basque Country and the Diaspora, especially in the realms of Euskara and Basque culture. That day also featured an extended discussion on what the upcoming four year plan for the Basque Government vis-à-vis the Diaspora should include. The final document was approved by the delegates the following day and it sets a macro vision for our Basque communities; most of the initiatives are relevant to what would benefit us here (see below). By far the "spiciest" moment of the Congress came Friday morning when there was an open floor discussion about a motion made by the delegation from Peru. The one-page document included five points, most of which addressed general human rights. It did however include some specific names and thus it did take a position in the current debate that is ongoing in the Basque Country over what should be the preferred route to sustained peace. A good many delegations were prepared to vote in favor and thus issue the declaration in the name of the Congress, but a solid minority protested. It was not because they did not want peace, nor that they opposed the efforts of the Basque Government. Instead, several delegations stood to declare that they cannot issue political statements in the name of their Basque community. Sound familiar? Right or wrong, this is a given in a good many of our club/organizations here in the U.S. It is problematical because the same definition of what is and is not "politics" is not shared by all. Some Basque clubs have adopted a zero-tolerance policy in the hopes of preventing a possible rift down the line; this is not a conjured up threat since several communities have ruptured over political issues. Then again, zero-tolerance has its price as well. The insistence on saying nothing or taking no stand is also taking a stand. Silence on an issue can be construed in many ways. 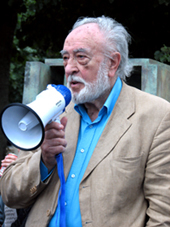 For example, during ETA's early decades there was little to no negative condemnation of ETA violence. This could have been--and was--interpreted as tacit support for the use of violence. It wasn't until Basques took to the streets in significant numbers to protest ETA's violence that it became clear that not all Basques were willing to accept violence. The sometimes heated debate over Peru delegation's five-point initiative came to a close when it was clear that a handful of organizations would not be able to vote in favor of the measure because they were not empowered to do so. Thus no final vote was called and instead the delegates agreed to remain with the earlier general statement that efforts would continue to promote peace. The closing of the Congress came at the official residence of the Basque chief executive or Lehendakari, "Ajuria Enea" in the capital of the Autonomous Basque Community of Euskadi in Vitoria-Gastiez. Lehendakari Juan Jose Ibarretxe gave (in the author's estimation) a moving farewell address to the delegates. It was moving because he spoke of Basque challenges, and those yet to be accomplished. His speech reflected on several themes, but he stressed the power of hope. This theme came up in a conversation with a fellow delegate who was a native of the Basque Country, who commented that Lehendakari Ibarretxe "might be the only one who believes what he is saying." This comment reflected the plethora of issues and questions that challenged our NABO delegation throughout the week of the IV Congress. Some of these are definitely worth developing in conjunction with our NABO organizations in future gatherings. As part of the global Basque Diaspora we share many things in common with other organizations and communities that are endeavoring--against significant odds--to sustain one of Europe's oldest culture. There is much we can learn from others engaged in this endeavor, and the comradeship of that week will hopefully go a long way down the line to the creation of mutually beneficial projects that will allow for the creation of more bridges ("Zubigintzan"). At the closing of the IV Congress, the delegates were hosted by Lehendakari Juan Jose Ibarretxe at the Basque chief executive's official residence, Ajuria Enea. One by one he bid farewell to the delegates. Here he is seen with NABO delegate Philippe Acheritogary who posted a daily blog online that you can access at euskosare.org.